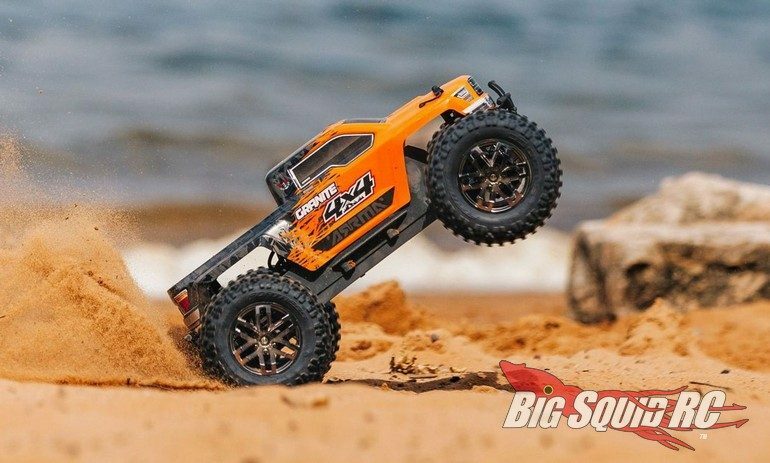 Monster Truck Madness – Picking a Bashing Monster Truck « Big Squid RC – RC Car and Truck News, Reviews, Videos, and More! It’s a heck of a time for a hobbyist looking to make their foray into the world of bashing monster trucks. There’s an almost obscene of amount options on the shelves at many hobby shops. Because of this, it can be overwhelming trying to make a decision. How would I know? Well, this is what I’m going through right now. Solid axle monster trucks have long been my thing, but I’ve been craving a good bash truck for awhile now. I mean, yeah, I can bash a solid axle rig but I generally like to keep them in tip top shape for the race track. I typically only drive them like I stole them when in Freestyle competition. The last independent suspension equipped monster truck that I purchased new for myself was a Traxxas Summit in 2012-ish. Before that, it was an HPI Savage back in 2003. Good gosh man, it’s been too long! A buddy of mine gave me some wheel time with his Traxxas Xmaxx recently, and that’s what really got my blood pumping for an indy basher. Those things really are animals. At some point I plan to pick one of them up…but not yet. The reason? Well, I just don’t have the space to properly let one of them eat. I also have 3 young girls itching to pull trigger, and I dunno that I’d feel completely safe for my neighbors in that scenario. So yeah, I figure I want something a tad smaller. Luckily, Arrma has several choices that have my interest piqued. Somehow, despite all of the folks here at BSRC singing their praises, I’ve never owned an Arrma vehicle. I reckon that needs to change, so it comes down to two choices for me – a 1/8 Notorious 6S BLX Classic Stunt Truck OR a 1/10 Granite 4×4 3S BLX. Both trucks look pretty wicked, but I’m seriously torn on which to get. The Granite’s size (and price!) is more conducive to having fun around my house, but the Notorious looks like it would be a total beast. I’m also REALLY digging on the way the Notorious shows steel as the paint scratches off. Which truck am I getting? I’m leaning towards the Granite but as of this writing I still haven’t made up my mind. Whichever one I go with, you’re gonna find out in this space really soon. What do I choose, fellow hobbyists? Oh the agony!